A very late prize for one of my contests on Theotaku.com. 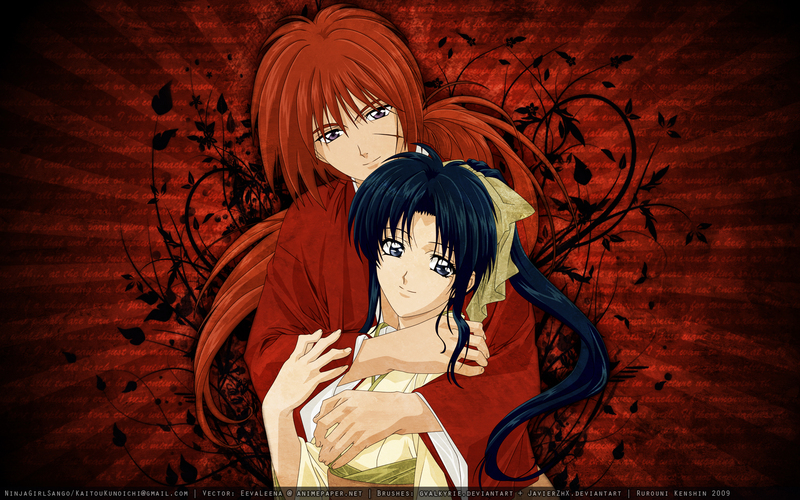 I think this is the best wall of Kenshin,I like it's colour and idea,thanks for sharing. My favorite Anime. Love your wallpaper. Thanks. This is one awesome wallpaper, love this couple. I love the background!i love it! Lovely scene! I like the way you made contrast between the background and Kenshin's hair and clothes using the brushes...the red color doesn't fully dominate! Thank you for sharing! Great work!